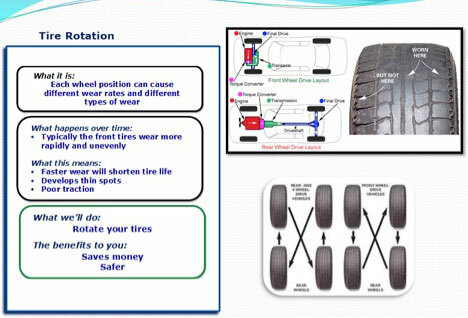 The #1 cause of premature tire wear is lack of tire rotations and/or infrequent tire rotations. Tire Rotations should be performed every other Oil Change. Some experts even recommend performing Tire Rotations every Oil Change. See Your Service Advisor to get yours taken of Today! The #3 cause of premature tire wear is improper Wheel Balance. Typically, you would feel the imbalance while driving over 80 kms/hour, however, you may also not notice at all. 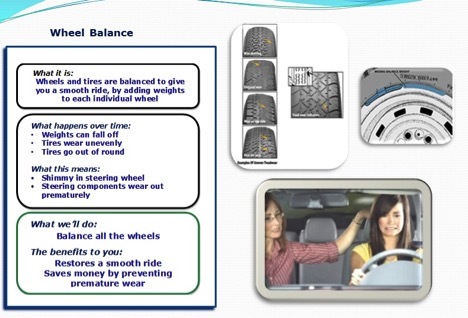 Wheel balancing, should be performed once per year, often timed with every other tire rotation.